This article is the second in a series that formerly appeared in the Clarion print and online editions. You can find part one here. For more of Dr. Bombaro’s work on Jonathan Edwards, be sure to check out his 2011 book on Jonathan Edwards’s Vision of Reality: The Relationship of God to the World, Redemption History, and the Reprobate. 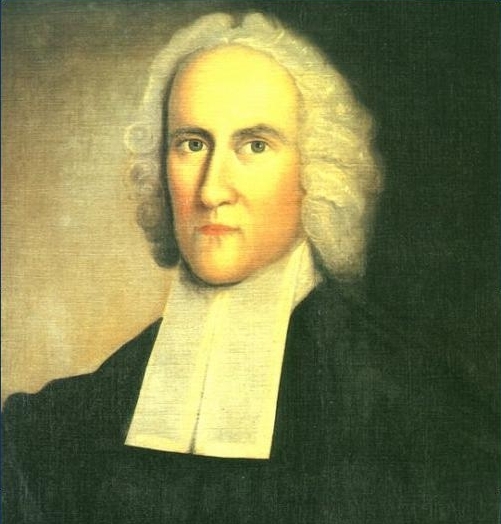 Jonathan Edwards employs to considerable philosophical and theological effect the Malebranchean concept of “Being in general,” by which the Calvinist metaphysician ontologically links all existences (sentient and non-sentient alike) to that one necessary and all-encompassing existence, God. Edwards does so not only through the aesthetic and relational feature of “excellency” but also an etiological attribute, “power,” by which when speaking in ontological categories Edwards means the activity or promotion of being. Together then “excellency” and “power,” both of which are basic to God’s esse as such, comprise the structure of existence, the matrix of perceived reality. In Edwards’ vision of reality, sharing in the “excellency” or beauty of God is the same thing as sharing in existence itself – “Being in general.” To put it differently, existence for created entities consists of existing as an instance of divine “excellency” or, as Edwards puts it elsewhere, “being-as-manifest.” Thus, “Being in general” and “being-as-manifest” (or the matrix of divine beauty) essentially are the same thing. The power of being that affects ontological instances of “excellency” is the power or being of God. Through a developmental synthesis of (i) Malebranche’s “Being in general,” (ii) inherited classical theistic propositions, and his (iii) affectional “new spiritual sense” and its related aesthetic ontology, Edwards arrives at a theocentric metaphysical foundation by which he may begin to explain God’s “comprehensive” relation to everything. Articulating the created world’s ontological connection with God’s being has always been sticky business. Once St. Paul aired his apologetical evangelism to the philosophers on Mars Hill a Pandora’s Box was opened for subsequent Christian thinkers to explain just how in God “we live, and move, and have our being” (Acts 17:28). Resulting ruminations have left not a few expositors branded heterodox or worse. Saying less said more about your orthodoxy. Saying nothing kept the burden on Aquinas. Edwards, however, says much. When he identifies being-as-manifest with Being in general Edwards extrapolates on the metaphysical content of Paul’s sermon. In doing so Northampton’s minister invites critical analysis of his understanding of the Creator/creation distinction. As Edwards moves closer to a full development of God’s immanence and telic purposes of self-glorification in time and space through the concept of divine comprehensiveness (as expressed in End of Creation), he forces us to comment on whether he is pantheistic or panentheistic or simply employing a rhetoric that suggests pantheism or panentheism, but really intends to prioritize God’s being and indicate distinction (a contingent inclusion) between the Creator and the creation. Before we consider these options we shall deal with the misnomer that Edwards’ comments on these topics within “The Mind” and “Miscellanies” notebooks were merely private speculations on difficult and mysterious matters. One might contend that, if such statements were confidential ruminations, then we must not scrutinize over these private documents, which receive later (and presumably more orthodox) refinements for publication. But two things mitigate against this. First, as Thomas Schafer and Ava Chamberlain have shown, the “Miscellanies” were semi-private notebooks, which Edwards envisioned as publishable material. He also used them in a tutorial capacity and allowed ministerial candidates under his tutelage, along with others, to freely engage them. Secondly, some of his published works, such as Two Dissertations, repeat verbatim the content under question. End of Creation, for example, records a statement from “The Mind” that “[God] comprehends all entity, and all excellence is His own essence. The first Being, the eternal and infinite Being, is in effect, Being in general; and comprehends universal existence”; or, again, from the “Miscellanies”: “God [is] seeking Himself in the creation of the world.” Not only were such statements semi-private but they appear throughout his corpus. The consistency and permanence of his thought on God and His relation to created existences is evident in examples from 1723, where we find him writing, “God and real existence are the same”; and twenty years later in “Miscellanies” No.880, “God is the sum of all being and there is not being without His being”; and just two years before his death, “God [is] in effect, universal, all-comprehending being.” Such statements, then, reflect his enduring thought on the matter. Some commentators find these statements indicative of pantheism. Another scholar, Arthur B. Crabtree, tells of two distinct streams of thought in Edwards, one that is “pure pantheism,” the other an “Augustinian-Calvinistic concept of God.” According to Crabtree, each is a self-contained doctrine employed by Edwards at different times (but never together) for different purposes. Douglas Elwood, however, does not see Edwards expressing pantheistic statements but panentheistic descriptions, such as: “All things are in Him and He in all” (Misc. 880). Despite Robert Whittemore’s rejoinder, Elwood’s suggestion of Edwardsean panentheism stands correct based on manuscript evidence, though Edwards is not the proto-Hartsthornean process theologian that Elwood would have him to be. God comprehends all entity, and all excellence in his own existence. The first Being, the eternal and infinite Being, is in effect, Being in general; and comprehends universal existence. God is not only infinitely greater and more excellent than all other being but he is the head of the universal system of existence; the foundation and fountain of all being and all beauty of whom, and through whom, and to whom is all being and all perfection; and whose being and beauty is as it were the sum and comprehension of all existence and excellence. We must take heed that we han’t too gross a notion of God’s immensity and omnipresence. We must not conceive of it as if part were in no place and part in another for God is not made up of parts, for He is a simple pure act. It is not part of God that is in us but God is in us. God is neither little nor great with that sort of greatness, even as the soul of man; it is not at all extended, no more than an idea, and is not present anywhere as bodies are present. So far from making God identical with everything, Edwards in his rhetoric consciously intends to underscore the distinction between God and the world. McClymond states it well: “Edwards’ identification of God as ‘Being in general’ is designed chiefly to highlight the utter uniqueness and incommensurability of God. Precisely because of God’s own infinite Being, God transcends creatures that exist only in partial and particular ways.” But his rhetoric also is intentionally panentheistic in that he makes the transcendent yet personal God of Christian theism encompass all existence and all existence abide in and as His excellence and power. Though his language frequently tends to pantheism, yet the intent and full scope of his thought lead to a panentheistic scheme. God’s perfections, whether conceived theologically or metaphysically, include the essential idea of those perfections communicated ad extra. If “Being in general” includes “the scale of being,” then “being-as-manifest” and the matrix of divine beauty come to the same thing, just as we concluded above. All the orders of creation the “scale” give the matrix a hierarchical connotation. This hierarchy is, as it were, the superstructure of the ontological matrix of divine beauty. The infrastructure consists of relations. But none of this is for no reason: in possession of a panentheistic explanation of the ontological relation between God and the world, Edwards gives considerable attention to why things are such. Theology merges with metaphysics as Edwards allows the Biblical narrative of redemption and, in particular, its eschatological themes to transform an Aristotelian-Thomistic “metaphysics of finality” into a Christian theocentrism of ends. Consequently, in Edwards’ thought, we find that the argument from telic causes is interwoven with that from design, for he cannot think of structure or design apart from its use concomitant to its ends. So far from being static, the “great chain of being” is telic-oriented and thus progressing toward an ultimate integrated “end,” namely the consummate glorification of God’s excellent being. There are three general divisions to Edwards’ scale of being: God, finite spirits, and the material world. Each level of being is linked to the other through (1) an aesthetically determined factor: relations, and (2) divinely prescribed telic-orientation. The whole matrix of reality may then be thought of as a network of interconnected relations moving toward a determined telos. As such, Edwards metaphysically guarantees the consummate achievement of God’s program since the matrix of reality is bound up with the Divine Being, who infallibly obtains His “ends.” Ontological and etiological determinism become united functions in Edwards’ philosophical theology: the existence and movement of the world is understood as the manifest being and activity of God. God is also the “greatest of all beings” and has the most rarefied and extensive relations: all as one, while non-sentient entities have the least. Edwards is always careful to treat God specially, so with reference to the “great chain” he considers God ontologically prior and supreme, for God internally possesses perfect innertrinitarian relations (the sum and substance of God’s “excellency”) and, externally, the most extensive (all as one) and substantial relations (which for Edwards is but one Trinitarian relation) for the sole reason that all things are related to God as His own self-extension/replication. God, therefore, may be considered relationally immutable because He is ever only related to Himself, even through the manifest extension or replication of Himself. The ontological priority Edwards ascribes to God not only differentiates God from created existences, but also serves to explain the inclusiveness of God with respect to the creation. In the wake of his conversion well into his years of mature theological reflection Edwards presented in sometimes unoriginal material all of the classic incommunicable attributes of God with certain and necessary proximity to his fundamental arguments for God’s being. The distant goal may have been to set forth a “Rational Account” of Christian doctrine, but at first there was the need to ground all existence in the being of God Himself in order to legitimize metaphysically the theocentric, spiritual vision of God’s presence “in everything.” In Edwards’ mind God as “Being in general” accomplished just that. His “rational proofs” were not merely concerned with the idea of God but His reality and, in connection with God’s purposes in redemption, His perfections and personality. Considered solely as arguments for the existence of God, his material on design and disposal is frequently circular and ineffective, especially in light of Hume’s criticisms. Still, the conception which emerges is of “a necessary being” and “Being in general”; God is one, infinitely full, omniscient, omnipotent, omnipresent, and dwelling in aeviternity; He also is spirit and a perfect mind. In a word, next to Edwards’ “scale of existence according to excellence and perfection,” God is “infinitely the greatest and most excellent being, the sum of all being, and all other positive existence is but a communication from him, hence it will follow that a proper regard to himself is the sum of his regard.” God’s being transcends the scale and, yet, encompasses it. Edwards’ panentheistic expressions hint at other ontological peculiarities in God beyond the notion of all-comprehensiveness. For instance, he intimates that the created order is really the temporal extension of God, which implies divine potentiality, an idea that cuts across classical theistic statements of actus purus and deus simplex. Any question concerning potentiality or temporality and God’s timeless eternality and immutability, however, find their answers in Edwards’ larger questions concerning why God’s being must be spatiotemporally present and what it is in God’s being that could make it such. It is to these questions that we now turn. In order to ascertain the answers to these questions, we must know more precisely what God’s program of self-glorification is according to Edwards. For what this program entails carries with it an explanation of God’s telic purposes in creation and how those purposes are effected. Although mentioned in the “Miscellanies” as early as 1723, Edwards’ most complete synopsis of this topic finds expression in a treatise composed in 1756-57, entitled, Concerning the End for which God Created the World. Written as a complex response to New England’s increasingly rationalistic/moralistic tendencies, as well as deism and the fashionable “sentimentalist” philosophical schools, End of Creation coupled with The Nature of True Virtue comprise the posthumously published Two Dissertations (1765). Read as a single tome these treatises argue, among other things, that the love of God is the necessary context for all truly moral actions, and that morality finds its apposite and exclusive fulfillment in authentic religion (i.e. Spirit-generated Christianity). Important to our discussion, it provides Edwards’ most sustained treatment of God’s creative activities. Its opening chapter is suitably titled, “What Reason Teaches Concerning This Affair.” The apologetical premise of this chapter assumes that both divine and human agencies are necessarily telic or goal-oriented beings. But what Edwards requires as a necessary and defining element of intelligent and voluntary beings, namely, a telic propensity, proves to be a dispositional element in his ontology. Upon a supposition of the logic of disposition he then forges a philosophical and apologetical argument for God’s “ultimate end” in creation. Significantly, his assumed telic-oriented dispositional principle establishes the distinction between “ultimate” and “subordinate” ends. In End of Creation, Edwards, as a self-appointed defender of Christian orthodoxy, must have a way of affirming that God’s “ultimate end” (an end sought for its own sake as opposed to a “subordinate end,” i.e. one sought for the sake of another end) in creating is God’s own self, without reverting to pure philosophical ratiocination which would have appeared less biblical (he leaves most of that for the second dissertation). Therefore he sets upon this task in the first section of chapter one by insisting that God creates the world out of an inherent “glorious” self-regard, that is, out of a “disposition in his fullness” to regard Himself “supremely above all things.” When asked “Why?” Edwards gives the reason, because it seems “a thing in itself fit, proper and desirable” that God, in acting, has highest regard for what is most worthy (“valuable”) and honorable, namely His own being (“fullness” or “perfections”), attributes and nature. Thus Edwards contends that it is not “fit” or reasonable that God’s internal fullness should lack any external manifestation or exercise and, pressing the point, he suggests that each divine attribute be interpreted as “a sufficiency to certain acts and effects” or a capacity for producing “correspondent effects.” God not only sees it as a thing that is “fit” and “excellent” (thereby giving sufficient reason to the exercise of this disposition), but there is even a kind of ontological inevitability that He must exercise those dispositions necessary to His nature and essence to a particular corresponding effect. The excellency of God’s nature appears in that, that he loves and seeks whatever is in itself excellent. One way that the excellency of God’s nature appears is in loving himself, or loving his own excellency and infinite perfection; and as he loves his own perfection, so he loves the effulgence or shining forth of that perfection, or loves his own excellency in the expression and fruit of it. ’Tis an excellent thing that that which is excellent should be expressed in proper act and fruit. Quite simply the “act” is the exercising of that necessary and essential disposition in God to externalize His excellent fullness; the “fruit” is that fullness externally manifested. The circuit is now complete. God’s fullness is not only capable of communicating itself ad extra, but also capable of replicating an excellent relation (a mental likeness) to affectionally perceive His fullness as external. Such relations are consenting instances of excellency which, in turn, facilitate “being-as-manifest” or “Being in general” ad extra. The whole process may be seen as a kind of reflexive idealistic occasionalism. According to Edwards, God’s mechanism for achieving total self-glorification through self-communication is the work of redemption. God’s self-communication consists of replicating or externalizing the Divine Being’s internal perfections, which, according to Stephen Holmes’ insightful analysis, consist “only and precisely in the Son and the Spirit.” How then does the Father conceive of Himself? His perfect image of Himself consists of dialectical redemptive concepts of God crucified and God resurrected, God glorified in weakness and God vindicated in judgment: in a word, the Son, but affectionally so, therefore, the Son and the Spirit. Thus, for Edwards, only through the work of redemption could those divine attributes (subsumed under the Divine perfections, Son and Spirit) that pertain to the personal and relational dimensions of God’s nature – love, mercy, justness, graciousness, generosity, willingness to forgive, even anger and wrath – be adequately communicated (expressed) and glorified. Redemption is not only intrinsic to the creation of this world, it seems it would have been the impetus for the creation or existence of any and all other possible worlds. Since for Edwards this one work of redemption is such that it constitutes the sum total of the idea of God’s program for self-glorification, and since even notions of creation and providence are subordinate to it, he concludes that redemption functions as the interpretive factor for all meaning and existence. Everything – all existence, all occurrences, whatever may be said to have been, is, or will be – is connected to God’s program to glorify Himself through the Son and Spirit in the work of redemption. Here we have the theological translation of Edwards’ metaphysics of finality, viz. a theocentrism of ends – “ends” determined by God’s choice, an ultimate (ontological) end that is God Himself. But for Edwards the idea of other possible worlds is simply an exercise in sophistry. Questions about “best possible worlds” are red herrings that shift emphasis away from God to man, from the entire scheme of things to the individual. Certainly things may have included a greater degree of good or happiness for persons A and B. Which is to say, the world that exists does so by divine choice. Edwards says as much in a 1747 letter to the Scottish divine Thomas Gillespie: “God is carrying on of his own designs in everything; but he is not carrying on that which is not his design.” The point implies that the actualization of this world from among possible worlds (those which are not God’s design) is based upon an act of the will in God. In Edwards, God’s will is the final and ultimate arbiter. (Hence Edwards’ understanding, definition, and usage of divine “arbitrariness.”) Consequently, as Paul Ramsey puts it, “there was no structure of possibilities above and beyond God’s providence and superior to his sovereignty.” Deviating from a theocentric perspective on the world to investigate other “possibilities” only casts aspersions on, first, God’s absolute sovereignty and, secondly, His omnisapience. Such posturing, Edwards believes, never contends with the two central issues of reality: (1) that “The Sole Consideration, that God is God,” if honestly contemplated, is “Sufficient to Still All Objections to His Sovereignty”; and (2) that God has “sufficient reasons” for whatever He wills. For Edwards, these assertions, especially the second of these, take precedence over all personal and sentimental concerns. Divine arbitrariness, omnipotence, and omnisapience are not doctrines for exploring hypotheticals; rather, they are the doctrines of God’s power to exercise effortlessly Himself to all that He is judiciously disposed. Edwards does not aim to refute the potentiality of other worlds (a thing that is irrelevant to him), but to underscore the fact there is only one world, because the creation only exists for the sake of God’s self-communicating/glorifying purposes through redemptive activities. This raises an interesting question: Could God have failed with regard to His redemptive and self-glorifying “ends” in this world? Edwards speculates on this to one degree or another in Freedom of the Will when he articulates an apology for Christ’s impeccability, and answers that such a question begs for the impossible. Due to God’s nature and character, there is no way His will could founder. Consequently, Edwards does not speculate on what God might have done in another possible world; for him, only this reality matters to God. In one respect, then, the metaphysics argued in End of Creation prove insufficient and ultimately fall back on a Trinitarian foundation. For Edwards’ reasoning goes beyond a contention of “fittingness” and the idealist argument that, were there no creation, then God would express Himself in vain, to imply that without a creation God would not will the expressions of His nature/perfections. There are many of the divine attributes that, if God had not created the world, never would have had any exercise: the power of God, the wisdom and prudence and contrivance of God, and the goodness and mercy and grace of God, and the justice of God. It may be inquired why God would have the exercises of his perfections and expressions of his glory known and published abroad. Ans. It was meet that his attributes and perfections should be expressed. It was the will of God that they should be expressed and should shine forth. But if the expressions of his attributes ben’t known, they are not; the very being of the expression depends on the perception of created understandings. And so much the more as the expression is known [i.e., cognitively and affectionally], so much the more it is. Therefore to speak more strictly according to truth a disposition in God, as an original property of his nature, to an emanation of his own infinite fullness, was what excited him to create the world; and so that the emanation itself was aimed at by him as a last end of the creation. It is this disposition in God that makes it possible for the Divine Being to “emanate” His fullness “ad extra.” And it is this idea of an essential divine disposition that gives philosophical expression to Edwards’ metaphysically-loaded vision of divine comprehensiveness. Because Edwards believes that God’s “disposition to communicate himself or diffuse his own fullness” is an original perfection of the divine nature, a disposition toward specific exercises which must have full expression, he therefore claims without qualification that God must have His fullness manifested externally. Which is to say, God must create. Edwards does not say that God needs to create because of some insufficiency, but He must because of who and what He is. Is divine freedom constrained with regard to creation? Only in the sense that if there was a possibility for God to have created another world, it would have been like this one, for the world is the particular “fruit” of a particular telic-oriented divine disposition. Edwards seems to think that a totally different world would require a totally different telos and, consequently, compromise the centrality of God’s redemptive scheme and triune excellency. Thus we find Edwards wrestling with his Reformed tradition concerning divine freedom and creation. Not only must God create but He is in some non-absolute sense dependent upon intelligent perceiving minds in order for both that creation (and their existence) and His being to have an ad extra reality and value. The telos of redemption limits God’s acts concerning creation by making it a relational process, not just amongst the economic Trinity, but also with other perceiving minds. Edwards denies that this is a limitation of divine omnipotence. Instead, it is “The Wisdom of God Displayed in the Way of Salvation” (1733), and therefore a resolute expression of omnipotence. Either way, even a hint of God’s dependence upon the creature for “ad extra” manifestation would have caused John Calvin not a little discomfort, particularly from one famed for sermons like God Glorified in Man’s Dependence (1731). As Edwards’ spiritual worldview begins to take shape, it incorporates and develops fundamental theological concepts of God, the Trinity, the work of Christ and the Spirit, and the entire drama of redemption in time. It also incorporates and develops foundational metaphysical categories of being and causation. Reality was not only to be conceived and interpreted in light of God’s all-encompassing presence, but also gain its teleology and idealistic value from the Divine Being’s purposeful presence in every facet of existence. See Schafer, “Editor’s Introduction,” Yale-Works, 13:7-10, 545-46; and, Chamberlain, “Editor’s Introduction,” Yale-Works, 18:8-10. Yale-Works, 8:452, 461. End of Creation incorporates whole or parts of at least 15 “Miscellanies” entries. “The Mind” No.15, Yale-Works, 6:345; Elwood, The Philosophical Theology of Jonathan Edwards (New York: Columbia University Press, 1960), 87; End of Creation, Yale-Works, 8:456. E.g., Theodore Hornberger, “The Effect of the New Science upon the Thought of Jonathan Edwards,” American Literature 9 (1937): 196-207, 198; and Rem B. Edwards, A Return to Moral and Religious Philosophy in Early America (Washington DC: University Press of America, 1982), 65. Jonathan Edwards’ View of Man: A Study in Eighteenth-Century Calvinism (Wallington, England: Religious Education Press, 1948), 17, 18. Elwood, The Philosophical Theology of Jonathan Edwards, 22-29, 53; Whittemore, “Jonathan Edwards and the Theology of the Sixth Way,” Church History 35 (1966): 60-75. For a brief discussion on the differences between JE and process theology, see Bombaro, “Beautiful Beings: The Function of the Reprobate in the Philosophical-Theology of Jonathan Edwards” (Ph.D. diss., University of London, 2001), Appendix A; and Stephen R. Holmes, “Does Edwards Use a Dispositional Ontology?,” in Jonathan Edwards: Philosophical Theologian (eds., Paul Helm and Oliver D. Crisp; Aldershot, England: Ashgate, 2003), 107-110. “Miscellanies” No.91, 139, Yale-Works, 13:254-56, 295. End of Creation, Yale-Works, 8:461; The Nature of True Virtue, Yale-Works, 8:551. “Miscellanies” No. 880, Yale-Works, 20:122. Oliver Crisp challenges this claim in “Jonathan Edwards on divine simplicity,” Religious Studies 39 (2003): 23-41. See also Amy Plantinga Pauw, “One Alone Cannot be Excellent: Jonathan Edwards on Divine Simplicity,” in Jonathan Edwards: Philosophical Theologian, 115-125. “Miscellanies” No.194, Yale-Works, 13:334-35. Emphasis mine. Ibid., 335. The reference here is to material substances as such, as well as the unknown substance of Newton and Locke. It is within the discussion in which he states, “Existence or entity is that into which all excellency is to be reduced,” that JE says that the “Divine Being is the infinite, universal and all comprehensive existence” (“The Mind” No.62, Yale-Works, 6:381). Schafer, “The Concept of Being in the Thought of Jonathan Edwards” (Ph.D. diss., Duke University, 1951), 96. See to this end “Miscellanies” Nos. 274, 651 and 880 in Yale-Works, 13:375-76; 18:191-92; 20:121-39. An important conclusion JE draws from his idealism, and one of immediate bearing on our present discussion, concerns the Divine Being’s conscious idea of Himself constituting His essence. God’s perfect consciousness of His own being renders Him totally ens a se, and this places Him, as it were, at the head of the great chain of being. As JE writes in the “Miscellanies”: “God’s intuition on himself, without doubt, is immediate; his idea [of himself] is his essence” (No.94, Yale-Works, 13:258). Human beings, who are fashioned after God’s own existence as agents of consciousness, have a consciousness of their own self, that is, they are conscious of their own being, and therefore have as it were a self-sustaining mental existence independent from other created entities. They are, of course, “comprehended” by the Divine Being and thus depend on God to conceive of them as distinct existences. Human beings, then, as nearly independent self-actuating existences (in that they mentally reflect upon their own being), are like God in terms of their relative arbitrariness, but yet depend on God’s conception of them as distinct existences, which, while comprehended by God, are neither divine, nor autonomous existences. Further down the scale are non-sentient entities such as animals, which require intelligent perceiving minds to receive the communication of the idea of their existence from God. Their existence is a less rarified, non-arbitrary mental existence (and therefore less “real”) due to their highly regulated and determined existence by laws (see “Miscellanies” No.1263, in The Philosophy of Jonathan Edwards from His Private Notebooks [ed. Harvey G. Townsend; Eugene: University of Oregon Press, 1955], 184-93). The existence of non-mental entities (objects of consciousness) is completely determined by laws, which places them at the bottom of the chain (“Miscellanies” No.1263). JE is peculiar in that he only understands self-aware/conscious beings to be sentient beings. All else, including animals, are designated non-sentient. See Holmes, “Does Edwards Use a Dispositional Ontology?,” in Jonathan Edwards: Philosophical Theologian, 108ff. Conscious of the inadequacy of his cosmological arguments (Yale-Works, 6:339-40), JE was to learn that mere rational argumentation for the proof of the deity only treated God according to the criteria of Enlightenment rationalists; thus neglecting the immediate intuition of spiritual perception/sensibilities. Furthermore, the principle that the cause must be equal to the effect can, by itself, lead only to a linear infinite succession of contingent existences. Schafer argues that, whether JE was conscious of this latter difficulty or not, he constantly tended to base his argument, in the last analysis, “upon the immediate leap from the contingent character of all beings to the necessity of being in general” (“The Concept of Being in the Thought of Jonathan Edwards,” 135). His ontological work reflects this certainty of the ontological necessity of “Being in general,” by moving from necessary being to the contingent creature, from the self-existent to derived being. Outside of his ruminations in idealism and teleology, JE does little to fill in the gap between necessary and contingent existence. Consequently, we find him one moment speaking with panentheistic intentions and in the next moment explaining “being” in terms of a Neo-platonic hierarchical “chain,” which would agree better with a pantheistic scheme. Normative terms such as “fit,” “proper,” “amiable,” serve as verbal signals that JE is speaking from an aesthetic frame of reference. These indicators are often linked to providing a rational, or at least, cogent explanation of divine arbitrariness. See Roland Andre Delattre, Beauty and Sensibility in the Thought of Jonathan Edwards: An Essay in Aesthetics and Theological Ethics (New Haven: Yale University Press, 1968) for this aspect of JE’s thought. End of Creation, Yale-Works, 8:433. Ibid., 433-34. Another way (other than by philosophical theology) that JE approaches this matter of divine fullness is to explicate it through biblical exegesis. See, for example, “Scripture” No.235, Yale-Works, 15:185. Additionally, chapter 2 of End of Creation is devoted to “What is to be Learned from Holy Scriptures Concerning God’s Last End in the Creation of the World.” In it JE essentially recasts the apologetical nature of chapter one in biblical phraseology, supplying “proof” texts and extracting the doctrine from Paul’s usage of “plerwma” (“fullness”) (434 n. 7). “Miscellanies” No.699, Yale-Works, 18:282. Italics added. End of Creation, Yale-Works, 8:430-32. “Miscellanies” No.662, Yale-Works, 18:200. Emphasis mine. It would follow upon the logic of this reasoning that intelligent perceiving beings are themselves manifestations of the divine fullness and not just perceivers. See “The Mind” No.45, Yale-Works, 6:362-66. Holmes, God of Grace and God of Glory (Edinburgh: T&T Clark, 2000), 69. See also Holmes’ convincing account of JE’s theology of creation as Trinitarian in chapter 3. See “Discourse on the Trinity,” Yale-Works, 21:113-44; Holmes, God of Grace and God of Glory, 70. “The creation of all things was with an aim and subordination to that great work of Christ as Mediator, viz. the work of redemption. It was not only God’s design in all the works of providence, from the beginning of the world but also in the creation of the world itself” (MS “Blank Bible,” note on Eph. 3:9 [The Jonathan Edwards Collection, Beinecke Library, YaleUniversity]). Yale-Works, 16:230. Consequently, this particular world is not absolutely necessary, another point which argues against the charge of pantheism in JE. For more on JE’s notion of divine arbitrariness see “Miscellanies” No.1263. (1735), The Works of Jonathan Edwards (2 vols. ; rev. and ed., Edward Hickman; London, 1834 [rpt. Edinburgh: The Banner of Truth Trust, 1974]), 2:107; Yale-Works, 1:388-91. See Leibniz’ remarks in The Leibniz-Clarke Correspondence (ed. H. Alexander; Manchester: University of Manchester Press, 1956), 16. Ramsey makes the connection between the aggregate good of the world and God’s end in it: “While God need not bring to pass all the good that is possible for each individual, the good of the whole which he brings to pass suffers no limitation from any realm of in-compossibility external to his own rational will. A world over which God rules is no doubt a good world, even the best world; but it is not to be termed the best of all possible worlds, nor the best that may have been chosen of all the possibilities. It is simply God’s world in the whole of it” (“Editor’s Introduction,” Yale-Works, 1:117). End of Creation, Yale-Works, 8:434-35. Thus it could be contended that Lee is wrong on this point: there is no before/after for God, even with respect to the exercising of His dispositions. See Yale-Works, 1:266-69; and Holmes, “Does Edwards Use a Dispositional Ontology?,” 107-110. “The Mind” No.36, Yale-Works, 6:355. That there is no change in God’s knowledge of reality, that is, no true element of temporality or sequential progression, see Freedom of the Will, “Sec. 12. Foreknowledge Inconsistent with Contingency,” in Yale-Works, 1:266-69. End of Creation, Yale-Works, 8:435. In distinction from the strongly necessitarian disposition of God toward Himself (God’s metadisposition), the disposition which brings about creation may be considered weakly necessitarian. There is a necessity or inevitability to the emanationistic disposition: it must be exercised and, with respect to redemption, it must have certain features of a certain kind; for instance, every set of that kind must have a fall, a divine Redeemer, etc. This is not unique to JE; Thomas Aquinas in Contra Gentiles said God had to create but not necessarily this world, though the world is the result of the fullness of God. See Scott C. MacDonald’s discussion on Thomas Aquinas in Being and Goodness: The Concept of Good in Metaphysics and Philosophical Theology (Ithaca: Cornell University Press, 1990), ch. 4.